robertmenzies is a Legacy Library. Legacy libraries are the personal libraries of famous readers, entered by LibraryThing members from the Legacy Libraries group. 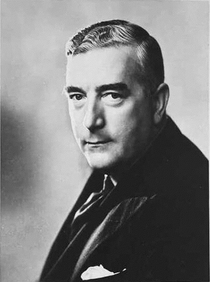 » Robert Gordon Menzies's catalog. » Robert Gordon Menzies's legacy profile. robertmenzies is also an author. » See Sir Robert Menzies's author page. About meRT Hon Sir Robert Gordon Menzies A.K., K.T., C.H., P.C., F.R.S., Q.C. (20 Dec 1894 - 15 May 1978) Prime Minister of Australia 1939 - 1941 and 1949 - 1966. Lawyer, politician, orator, author, longest serving Prime Minister of Australia, founder of the Liberal Party of Australia and former Chancellor of the University of Melbourne. About my libraryMost of the books I owned were donated to the University of Melbourne Library by my widow, Dame Pattie Menzies, and they are now housed in the Leigh Scott Room of the Baillieu Library at the University of Melbourne. They are not available for loan but are available under supervised access to approved scholars or researchers for approved research purposes. My library has never been formally catalogued however a typed catalogue of the books contained in my office (95 Collins St Melbourne) and my home (2 Haverback Avenue Malvern) was produced when my library was gifted to the University. The inventory of roughly 200 pages is organised by subject and shows the author, title and date of each book. In addition, a location column indicates the shelf in my office, library or bedroom where the book was housed on my death and also indicates which books are signed by the author or presented to my by the publisher, organisation or as a prize. Tags indicate the subject given in the original catalogue, the location where the book was shelved and if the book is signed or presented. Unpublished works, some periodical issues and several works with limited descriptive information in the original catalogue have been excluded. The moot book of Gray's Inn by Gray's Inn.